In March: the ILO Governing Body reviewed the implementation of SSTC strategy adopted in 2012 and agreed on the future SSTC steps, reaffirming that ILO’s SSTC would, in particular aim at (1) advancing SDG and Future of Work, (2) strengthening the awareness and capacity of ILO constituents and partners, (3) supporting the achievement of regional ILO and UN initiatives, (4) promoting the Decent Work Agenda in UN system-wide consultations related to the forthcoming BAPA+40, Argentina 2019, (5) contributing to the advancement of the ILO’s strategic framework and flagship programmes, and (6) contributing to the Fragile-to-Fragile cooperation initiatives and City-to-City cooperation. 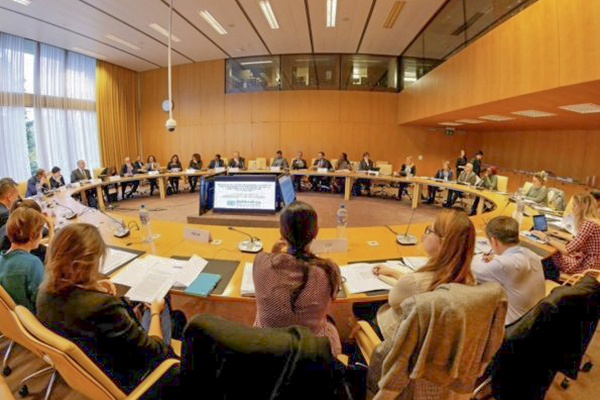 1st November: ILO, UNCTAD and South Centre co-hosted an informal consultation under the form of a roundtable discussion with the participation of Geneva-based Agencies: WHO, UNCTAD, UNITAID, WIPO, UNEP, UNECE, IOM, ITC, ITU, UPU, UNITAR, SUN, Rome-based Agencies (IFAD and FAO). UNOSSC and UNDP also attended the meeting. The outcome of the meeting is the Key messages providing converging recommendations of the meeting’s participants to the consultative process of BAPA+40, concerning the UN Development System and recommendations for the Geneva and Rome-based UN Agencies. Notably, among the key messages, there was an important consensus to continue the informal discussions to create a platform to facilitate dialogue on SSC and SSTC between UN programmes, funds and agencies in Geneva and Rome with a view to supporting the BAPA+40 process and beyond. 27th -30th November: During the Global South-South Development Expo 2018, the ILO organised a Solution Forum on 28th November. With the participation of ILO’s distinguished partners in the panel, the Solution Forum successfully showcased ILO’s SSTC Good practices for Decent Work in different regions (i.e. Latin America and the Caribbean, Africa, and Asia and the Pacific) and provided recommendations towards BAPA+40. Beside the Solution Forum, ILO Delegates also participated and contributed to enrich the discussion of the GSSD Expo events. Notably, during the High-level Forum of Directors General for Development Cooperation on 30 November 2018, the ILO with the representation of Ms. Anita Amorim (Head, Emerging and Special Partnerships Unit, PARDEV) presented the key messages emerged from the 1st November Informal Meeting in Geneva. In parallel with the major events, the ILO has also been collaborating closely with the regions and especially the International Training Center (ITC) in Turin to advancing SSTC and Decent Work in different topics such as Disaster Risk Reduction, Future of Work, Care Economy, Tourism and Green, etc. Looking forward, we highly believe that 2019 would be a fruitful and successful year for SSTC and the ILO.